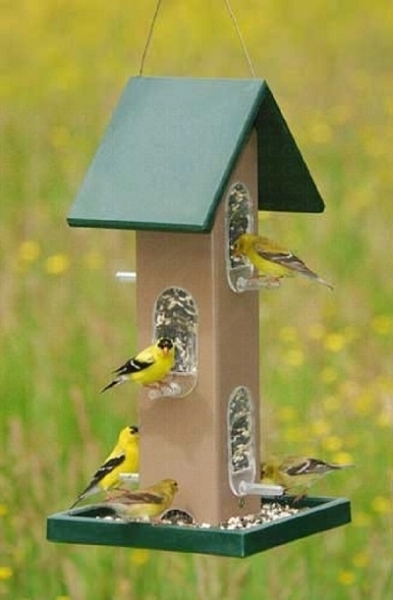 Hunter Green and Driftwood Recycled Plastic Tube Feeder. 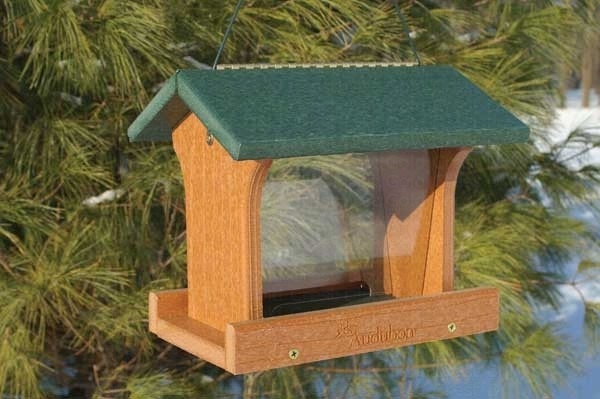 Holds 4 quarts of seed with easy to fill moveable roof. Windows pop out for easy cleaning. The tube feeder is easy to clean and disinfect. 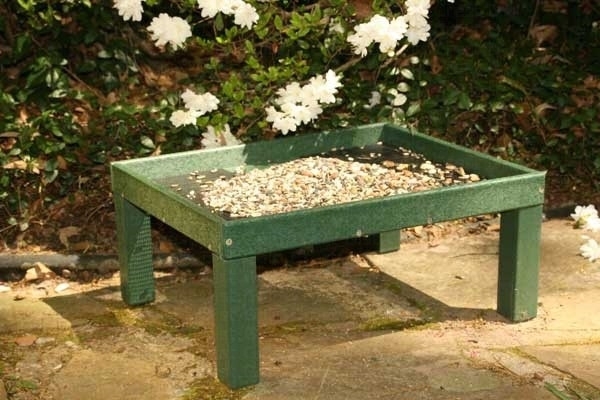 Recycled Plastic Ground Platform feeder w/legs. Green plastic with powder coated steel screens for better drainage. Easy to clean and disinfect. Green Recycled Plastic Ranch Feeder. 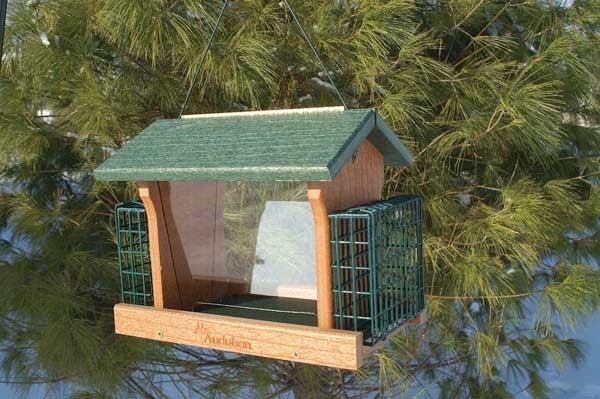 This beautiful feeder is made from over 90% post-consumer recycled plastic. Environmentally friendly and designed for easy maintenance and with large seed capacities. Feeder has powder-coated perforated metal screen bottoms for better drainage.